Things are about to get exciting around here with the upcoming announcement of 4 new designs that step up our use of the Showy & Subtle Decrease. But first, I want to make sure you’ve had a chance to try some of our favorite new techniques. That’s why we’ve added 3 patterns to Ravelry that are a perfect way for you to try out the Showy & Subtle Decrease. They’re the core of many of our patterns. Hot off the press is this new Manchester Scarf (it’s actually still damp in this photo). It’s a product of the Matching K2Tog and SSK blog post from last week where I mentioned I liked the swatch so much I would knit a scarf from it one day. Well, that ‘one day’ turned into the ‘next day’. Those who know me aren’t too surprised. It seems I have a small impulse control problem when it comes to knitting (maybe not so small if you take a look at my stash). The Winter Olympics were on, I had a brand new yarn in my basket … what else was I to do? One of the US alpine skiers is from Manchester, Vermont and so a scarf is born. The scarf is knit with the lovely Cascade Eco Cloud I picked up while at Jimmy Beans over President’s Day weekend. One of the primary benefits of flying in and out of the Reno Airport is its proximity to Jimmy Beans Wool. Close your eyes for a second and just imagine the size of the store necessary to hold all the yarn they carry. Now double it, no triple it and you’re probably still not close to the volume of the warehouse behind their storefront. It’s a knitter’s dream come true. They were nice enough to let me pull my own yarn from the back, which of course led to additional purchases and a larger stash. Link to the Free Downloads page on our website. Here’s the Cascade Eco Cloud yarn at Jimmy Beans. 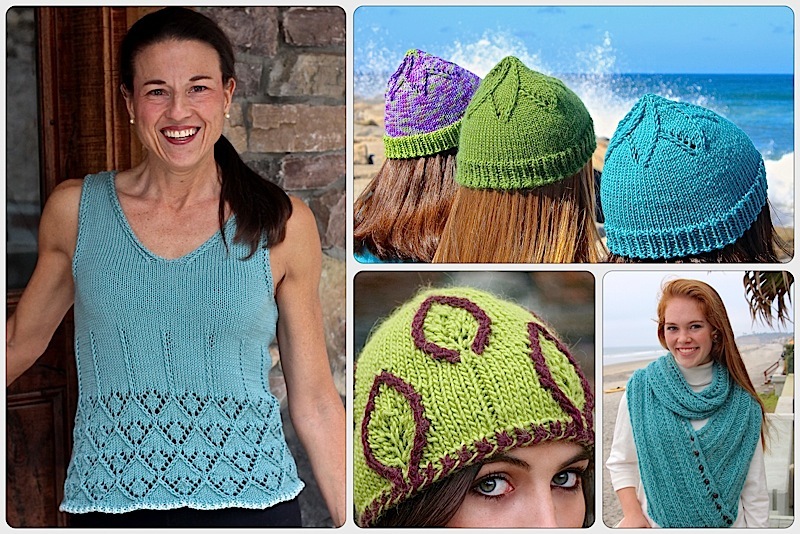 Free e-book on Ravelry is not downloadable as a set, but the individual patterns are, as of March 11. Honestly, Laura, you are the most knowledgeable, innovative and genuinely creative knitter I’ve ever come across – you rock !!! Only trouble is, you provide so much wonderful information that I don’t know where to start with utilizing it. I need to be 20 years younger. M-R, As always you make me smile although with your creative writing ability I highly doubt you need the extra 20 years! This entry was posted on March 5, 2014 by Laura Cunitz in Free Downloads, Nuances, Patterns, Scarves, Showy Decrease and tagged Free Patterns, Knit Scarf, Showy De.